Do you want to make sure your investments are a massive success? Do you feel confused by all the conflicting information out there? You don’t know where to start or what to buy? Afraid of making mistakes that could cost you serious money? … and for a limited time, we’re giving away this timely resource (value $198.00) to you absolutely for FREE! 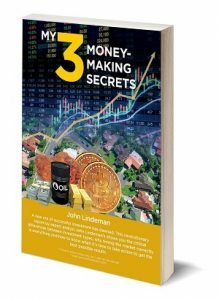 “My three money-making secrets” cuts through the uncertainty and misinformation in the investment market to give you the knowledge and confidence you need to make better, more profitable investing decisions! The free e-book is provided by Property Power Partners Pty Ltd (ABN 90 146 786 889). The information contained in My money-making secrets does not constitute specific financial, accounting, tax, legal or other similar type advice. 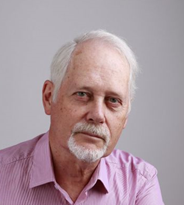 We strongly recommend that you liaise with your own financial, legal, accounting and other advisers to ensure that the concepts contained therein can be tailored to your specific needs. John Lindeman and Property Power Partners Pty Ltd do not hold financial services licences, do not purport to offer financial advice, and do not accept liability for any loss, damage or expense incurred by you if you rely on or utilise any of the methods, techniques or ideas contained in My money-making secrets.